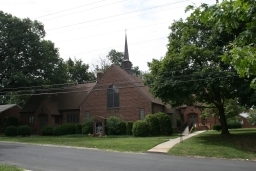 Welcome to the Knox Orthodox Presbyterian Church website! My name is Tom Martin, and I'm the pastor of Knox OPC. On behalf of our congregation, I invite you to explore this website. Here you'll get to meet us and find out who we are, what we believe, and what we do as a local congregation of Jesus' church in the metropolitan DC area. Because of the truth of the Gospel. We share the commitment of Christians through the ages to the truths of the Gospel of salvation by grace through faith, a message that centers on the Person and work of Jesus as He is made known to us through the Bible by the Holy Spirit. In a confused world, we hear God speak with infallible authority in the Bible. Because of the riches of Christ. We are searching the Scriptures in order to discover and understand the treasure trove of truth and blessing that is the Christian's inheritance through Jesus. At Knox we are learning together and helping each other understand and apply God's word to the joys and challenges of our life circumstances. Because of our fellowship in Jesus. At Knox God is building a community of people who have experienced His love in Jesus and who are learning how to love and serve each other for Jesus' sake. This fellowship is a glorious and vital reality, and an oasis in our lonely and fractured society. Because of our praise for God. Our amazement and delight at what God has done leads us to place an emphasis on joyful and reverent worship. Worship at Knox is traditional in style and centers on the praiseworthiness of God and His redeeming work through the atoning death and triumphant resurrection of Jesus. I hope that you will take time to explore this website to find more information that will flesh out this brief introduction. You will see that we are committed to the inspiration and infallibility of the Bible as the very word of God. As a member of the Reformed family of churches, we accept the Westminster Confession of Faith and the Westminster Larger & Shorter Catechisms as a reliable (though not inspired) summary of what the Bible teaches. In the end, however, the best way to get to know us will be for you to visit with us, and I invite you to do just that. 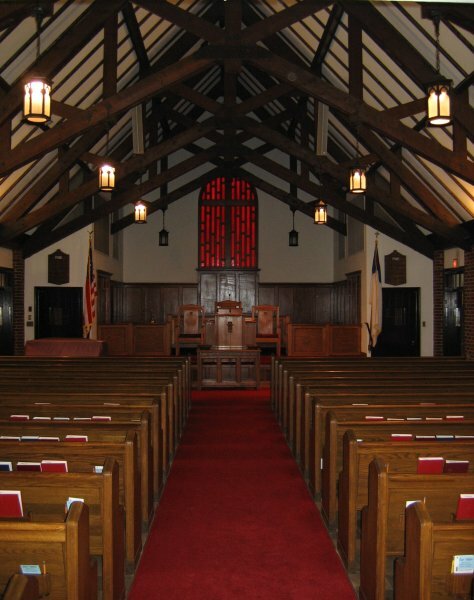 This is a warm and welcoming congregation that prays for visitors, so we will not only make you welcome, we will see your visit to us as a part of God's answer to our prayers!